The final score may have flattered the Gaels somewhat as the Tones looked the stronger side for three quarters of the game. The Gaels went long stretches without scoring and but for a spree of points from Jack Kielt late in the first half, and a David Larkin goal late in the game, the Tones dominance would have been more apparent in the final score. Tones man surrounded by Gaels. The Gaels held a one point edge at the end of the first half, thanks to some fine kicking from Derryman, Kielt. With the Tones holding the Gaels scoreless for the first 15 minutes or so while tallying four points themselves, Kielt fired four points over the bar, two frees and two from play to pull the Gaels within a point. Jerry Troy and Charles McCarthy pointed for the Tones to keep them two ahead before Eoin Connolly was called upon to make a fine foot save from close range, and keep his side in touch. Later in the half the Tones had another great chance to add a goal to their tally after Ryan Caffrey was adjudged to have fouled Shea Tennyson in the box, however the low, hard shot from Donie Nugent canonned wide of the post. The Gaels took advantage of both let offs; Jason Cully, Kielt and Brendan Boylan each pointed before the break to make it a 0-7 to 0-6 Gaels advantage at the break. It all fell apart for the Gaels in the second half however. The Tones defence absorbed most of what the Gaels could throw at them, while the forwards had regained the lead with two quick points from Dan McCabe after the restart. Tennyson, Andy McDonnell and McCabe added to the lead, while Joe O’Shea mustered the Gaels only score. The Tones were able to make adjustments, Nugent moved towards the middle of the field and the entry of Cormac Joyce-Power maintained the advantage for the Tones while the Gaels seemed short on options. The loss Sean Conneeley to a groin strain also did not help the Gaels cause. A late David Larkin goal, who advanced from corner back to score, halved the Tones lead, however, the Gaels could not penetrate a second time and the Tones start off 2016 with a reasonably comfortably earned 2 points. 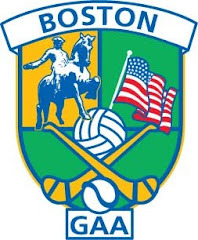 Gaels: E. Connolly, A. Girvan, D. Larkin, J. O’Shea, R. Caffrey, D. Doolan, B. Boylan, N. Graham, J. O’Brien, J. Cully, P. Sullivan, J. Kielt, S. Conneeley. Tones: P. Miskell, R. Driscoll, D. Maguire, G. Brilyl, S. Driscoll, A. McDonnell, I. Whelan, C. McCarthy, M. O’Brien, S. Tennyson, J. Troy, D. Nugnet, D. McCabe. A strong looking Donegal saw off a gallant Aidan McAnespies challenge on a chilly afternoon at the Irish Cultural Center. A spell in the first half saw Donegal tally an unanswered 1-5 and they threatened to put the game away early. McAnespies, who took the field in an all-white strip, stuck to the task and kept working away, and were within a score in the final stages of the game, but Donegal center forward Eoin O’Connor stepped up when needed to help maintain the Donegal advantage and see them to the win. Mark Devine tries to round Jason Noctor. The northerners took the half time break four points to the good on the heels of a very productive spell of scpring. It took about 10 minutes for the Donegal men to settle into the game, however once they did, it looked like McAnespies would be up against it. Corner forward John Campbell was a handful, although his marker, Marty Bogue did well throughout the game, as was Tommy Duignan in the middle of the field. Kevin McKernan hit with a goal for McAnespies early on following a great solo run, however the six scores that followed in the game were in the Donegal column. Campbell and Dean Kelly pointed, and Campbell buried a shot into the far corner of the net. The goal made it 1-1 to 1-6 and Donegal looked to be very much in control. McAnespies came into the game towards the end of the half, JP Gallagher and Mark Devine pointed, while Christy McLaughlin was called on to pull off a good save from a Mark Kavanagh shot to see the sides 4 points apart at the half, Donegal 1-7 to 1-4 for McAnespies. James Allen moves to try and block John Campbell. The second half saw McAnespies put the pressure on Donegal. Marty Bogue did well at corner back, while JP Gallagher and Kevin McKernan combined well in the forward line. McKernan accounted for three McAnespies points, however Donegal maintained the gap with scores from the boot of center forward Eoin O’Connor. McAnespies did not help themselves with some wayward balls played into pretty much nobody when in possession and on the attack. Daniel McGuirk was shown a yellow card having just entered the fray, and about 15 minutes later was shown a second, and with a man down the task was now that much harder for the Macs men. The gap, however, was closed to two points with scores from Darren McElroy, a 45 from goalkeeper Ryan McCrystal, and a well taken McKernan effort. It was Eoin O’Connor who shone for Donegal when the chips were down however. The center forward won two crucial kickouts, and also finished off the moves with points himself, and Donegal did enough to see off the challenge of their rivals. Macs: R. McCrystal, M. Bogue, J. Allen, M. Kavanagh, C. Donnelly, C. Lavelle, S. Daly, D. McElroy, JP Gallagher, A. Mallon, K. McKernan, R. Reynolds, M. Devine. Donegal: C. McLaughlin, J. Noctor, C. Russell, S. Doherty, D. Green, S. McMenamin, T. Duignan, B. Donnelly, D. Kelly, E. O’Connor, R. Dunleavy, A. McLaughlin, J. Campbell. Last weekend saw the semi-finals of the Pat O’Brien Cup. Christopher’s and Donegal would have to do it all over again after the game failed to produce a winner. Midfielder Conor O’Brien produced the leveling score for Christopher’s to make it 1-9 apiece, and a replay is to be scheduled to decide who makes the final. In the other game the Connemara Gaels defeated Aidan McAnespies by a handsome 2-13 to 0-6. Brendan Boylan produced a man of the match performance in the middle of the field, and the former Armagh U-21 chipped in with a point for good measure. Phil O’Sullivan and Sean Conneeley produced the goal for the Gaels. 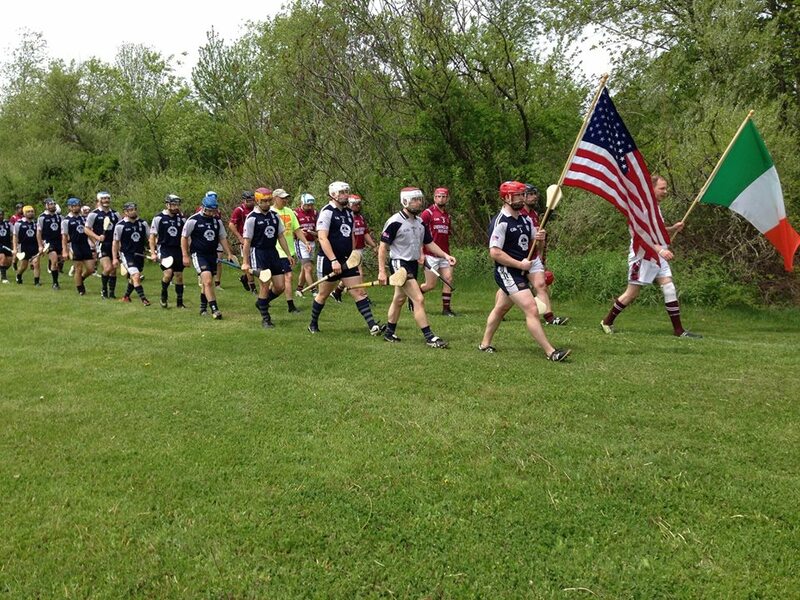 Other news saw the Barley House Wolves and Worcester, meet in Concord NH in the junior C hurling championship. The Wolves got their season off to a great start and put up an impressive 6-13 to 0-4 for Worcester. Barley House Wolves and Worcester Parade before the Match. 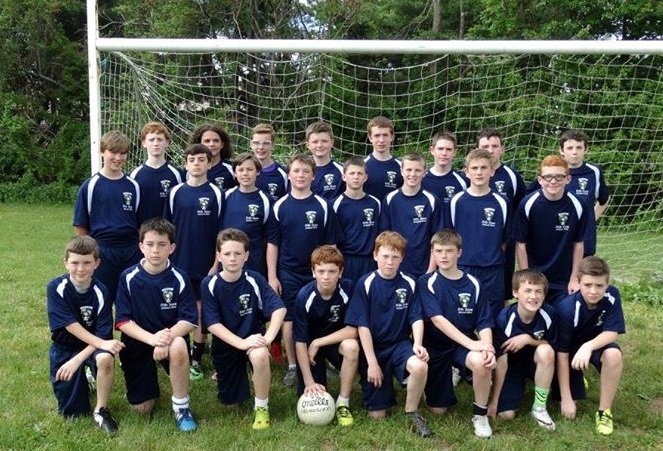 As part of their preparations for the Feile next month the U14s traveled to New Haven and played challenge games against New York and Philadelphia. The Boston side held their own in the first half, however, as the game wore on New York showed their class with an impressive performance. New York compete in the top division in the Feile and last year came close to winning it out. Philadelphia provided a stern challenge in a very evenly contested game and ended up narrow winners. Thanks to New York and Philadelphia for making the trip, and to the Greenhills bakery for furnishing sandwiches and Playwright Irish Pub for food after the game. 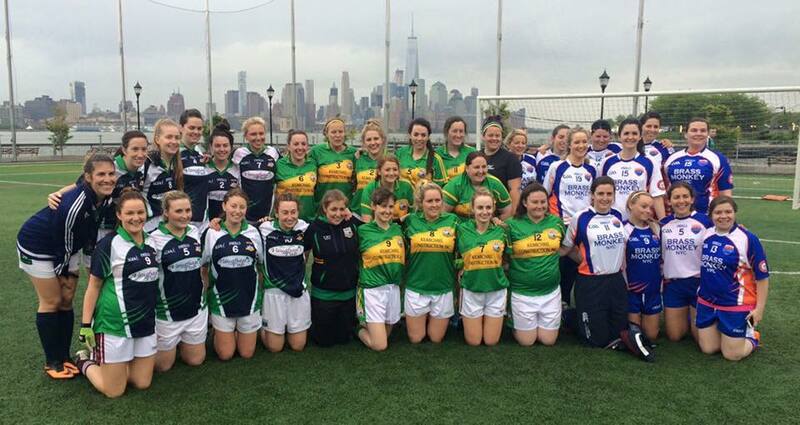 The Boston Shamrocks also made a trip south to Hoboken NJ for a 7-a-side hosted by the Manhattan Gaels, narrowly losing in the final to Chicago. Shamrocks, Chicago,and Manhattan with the New York skyline in the background. Next weekend senior football championship action begins, as well as Sheehan Cup hurling.